Born in the cotton fields long ago, it is this roving warm complain still rising to us. 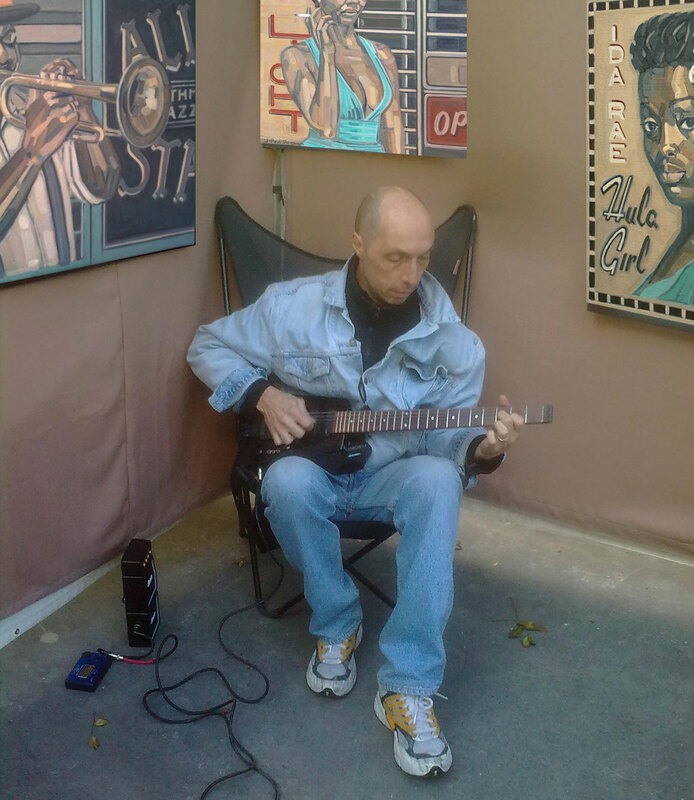 Jean-Paul Pagnon is painting this music. Do not look for well-known faces ! They are the soul of blues and jazz. The same music flows in their blood. Eternity is their common link. Can you imagine the mind of a mutifaceted Billie Holiday behind the détail of Hula Girl ’s face or Celia ? Haunting, obsessing Billie Holiday overwhelming Jean-Paul Pagnon to such a point that he untiringly summons her to appear in all his feminine portraits. « This voice, he confesses, I’ll never get over it ». It emanates from them the America of old days, far from us, in a ideal and fantasy world, this America printed on advertisements with its smooth outdated colors. A ghost-like America… Has it ever existed ? Jean-Paul Pagnon gives colours to this unqueched dream, takes the hand of the unlooker we become at the sight of this american mirage, and he plays with his pictures its everlasting sound track, that of Jazz and Blues myth. J-Paul Pagnon's paintings are in many collections in France, USA, Holland, Swiss, Luxembourg and Austria.